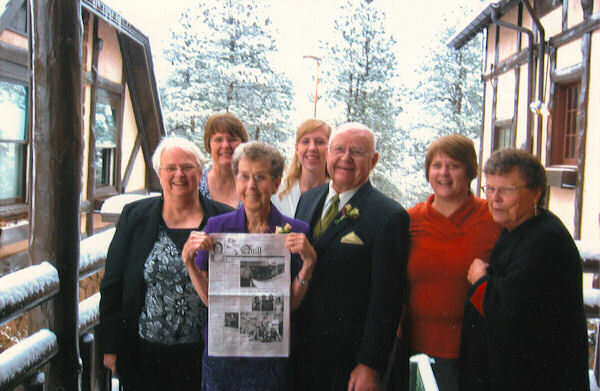 On Sunday, October 25, 2009, Maynard and Donna Ricketts, Diane and Kara Stumphy all of Kirkwood, Dorothy Ricketts and LaJune Ricketts of Little York, and Denise Williams of Sheffield attended the wedding of Jason Melton and Anastasia Cordova in Golden, Colorado. Maynard and Donna are grandparents of the groom, and Diane and Kara are the aunt and cousin of the groom respectively. The ceremony took place on Lookout Mountain at the Boettcher Mansion.